Don't like this tank pad? Don't worry there are literally hundreds of motorcycle tank pads to choose from and all at exactly the same price of £19.95! 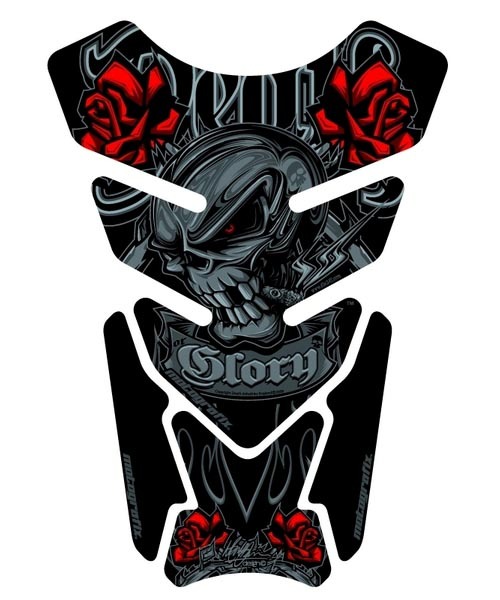 There are designs for particular motorcycle manufacturers: Aprilia, BMW, Ducati, Honda, Kawasaki, KTM, MV Agusta, Suzuki, Triumph and Yamaha, as well as a large selection of Universal Tank Pads. New Designs are being added al the time. 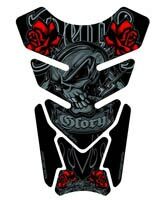 Tank pads / protectors are one of the more useful motorcycle accessories, as they not only look good - you can colour co-ordinate them with your motorcycle - but more importantly, they protect the tank from scratches and general abrasion. Motografix Tankpads are manufactured from the highest quality vinyl. Thermally printed and coated with a 3D gel layer, which gives a 3D domed effect. This will not lift as many competitors pads do. The printing is completely UV stable, so won't fade over time even after repeated exposure to bright sunlight.